So this week I have the pleasure of sharing my square with you all. Let me share my inspiration for this square.... I am very lucky to live very close to some beautiful beaches. The coastline in Northumberland is stunning. I've lived next to the coast all of my life and I never take it for granted. It's where I head when life gets difficult. I find solace in sitting and watching the sea...the waves crashing on the beach and the ever changing skies. Somehow breathing in that fresh sea air and and hearing the noise of the sea gives me comfort. It was where I headed when I heard the news that Wink had died. As if the sea could make it all better....it didn't. But I still found some comfort in that familiar noise. Whenever I visit the beach I automatically draw a heart in the sand. I've done it for as long as I can remember. I don't know why. I just do it. And it would seem I'm not alone.... I found all of these images online of hearts drawn in the sand! For my square I have used a size 5mm hook with merino soft. Because it is double crochet, it's a much smaller stitch with less stretch. You need to pay extra attention to your gauge for this square! Oh and it'll curl! Even once blocked you may still get a little curling of corners. Once joined to the other squares it'll be fine. Please don't miss out the blocking process. It really will make a difference. Take a little time to write it down....it'll save time in the long run. You can see my square in my Dancing Around the Beach Huts colour scheme along with the grey merino I'm also making a blanket in. Making both blankets is keeping me very busy!!! I love the drape on the blocked squares! 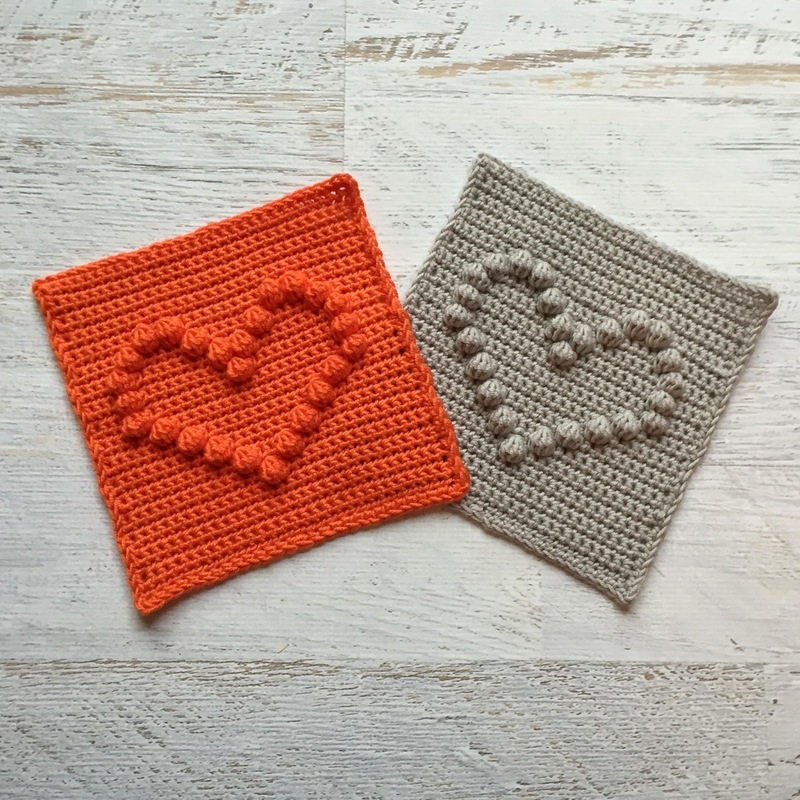 I really hope you enjoy making this square and can't wait to see heart squares popping up in my Facebook feed! Aw I have been waiting for this heart square :) Love everyones reasons for the squares they designed. It is a beautifull square, really love it. Gorgeous, thank you. Wink will be extra close to my heart this week. A most beautiful square and I am enjoying making it. Thank you for your lovely creation and this post. Thank you for sharing your square and the story of the meaning of the design. Lovely! Gorgeous heart, I love your story behind it too. I'll be drawing a heart in the sand next time I visit the beach. 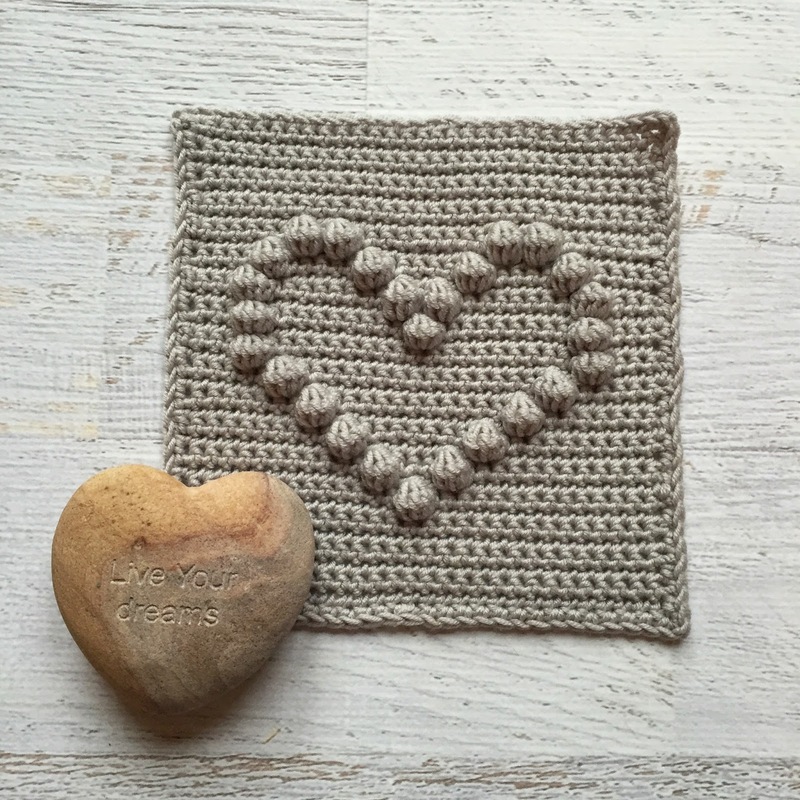 Thank you for this gorgeous square - and for the border guide! First time in the whole CAL that I've done a border without frogging. Very much appreciated! 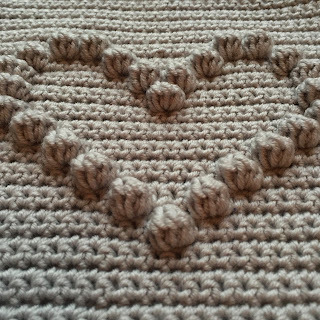 Thank you so much for this lovely <3 pattern! Good evening to everybody from South Africa! 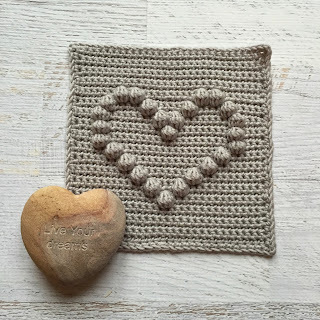 I am desperately in need of the Week No 7 pattern [heart square] of the 2016 CAL, if anybody would be so kind to let me get it I will really appreciate your help. I tried for the whole of this afternoon to find the FREE WRITTEN PATTERN FOR WEEK 7's BOBBLE HEART square, but the only thing I get is pictures on Pinterest, but no pattern. 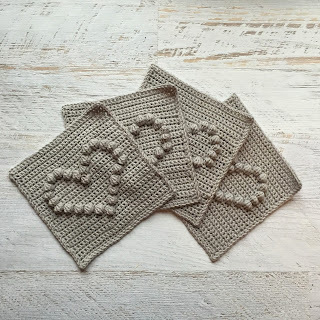 We are awaiting the coming of our grand-grandson in a few months time, and I would really be SO thankful if I could get the pattern from anybody visiting this Blog. I would also like to know whether the patterns for the other weeks are still available? I am quite a new crocheter and would like to have some more patterns for these lovely squares from Keesje's.